There might be too many great TVs to choose from. If you're in the market for a 4K TV this year, Vizio's latest lineup is filled with several compelling options. In fact, the only issue is that it might be tough to figure out which model is best for you. First, there's the new P-series Quantum, which is Vizio's brightest and most feature-packed TV ever. But the rest of the company's P- and M-series sets are also cheaper and better equipped than before. An abundance of choices is ultimately a good thing for shoppers, of course -- just be prepared to do your homework. Vizio got its start as a purveyor of cheap HDTVs just as consumers started upgrading their aging standard definition sets. But something surprising happened: they also ended up building pretty great TVs, especially in recent years. Vizio managed to keep its prices low while delivering sets with full-array backlighting, which let TVs light up the portions of screens they need to, while keeping other areas dark. That ensured improved black-levels and contrast, without the uneven lighting you see on edge-lit screen -- Samsung and other TV makers still rely on this setup heavily. With its 2018 TVs, Vizio is aiming to deliver even more "local dimming" zones. 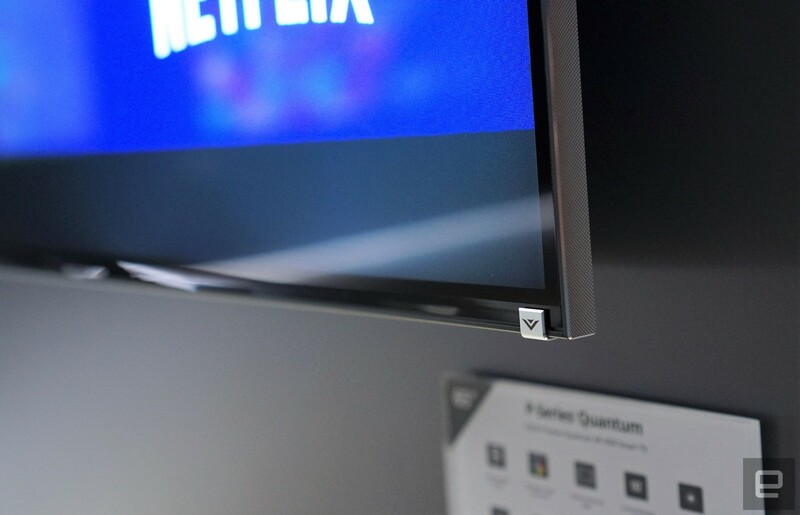 The flagship 65-inch P-Series Quantum ($2,300), for example, sports a whopping 192 zones, compared to "just" 100 from similarly-sized standard P-series model. Those extra local dimming areas let the Quantum model reach 2,000 nits of peak brightness, which is among the highest I've ever seen from a TV. The differences between the two P-series sets were easy to see in our brief demo. Footage on the Quantum TV looked noticeably brighter, and due to that, also sported a better contrast ratio. That's not to say the standard P-series looks bad -- it's still superior to most other LCD TVs -- it's just lost a bit of its luster. 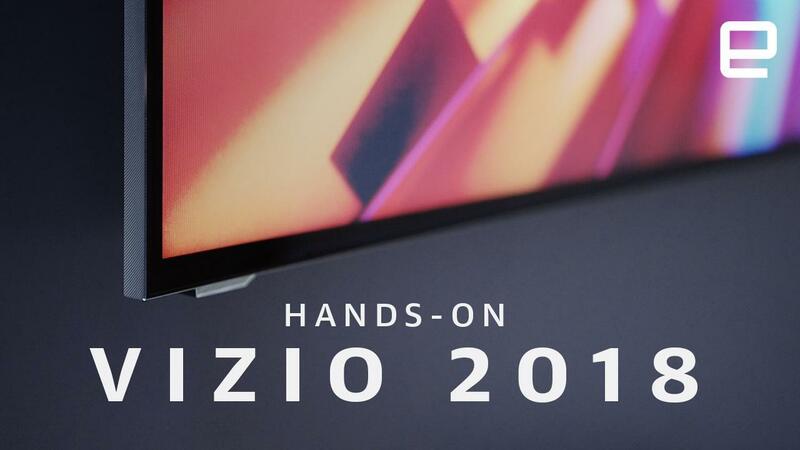 In fact, aside from a new case with three thin bezels, it seems like Vizio hasn't changed much since the 2016 P-series. As I said last year, that's mostly a testament to how good that TV was in the first place. 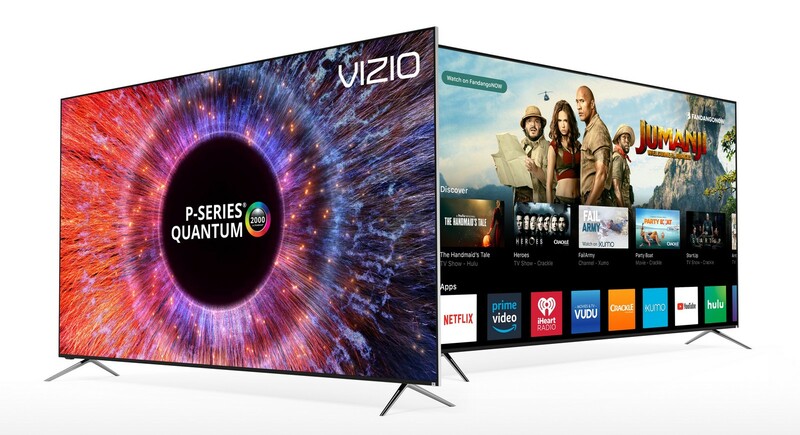 Even if you don't want Vizio's highest-end TV, though, it's still a useful product for shoppers since it drives the cost of the company's other sets lower. The standard 65-inch P-series, for example, is now just $1,300, down from $2,000 last year. As for the M-series, it continues to be a solid value at $1,000 for the 65-inch set, though it's a bit less compelling now that the higher-quality P-series is dramatically cheaper. If you're looking for a bigger TV, the 75-inch P-series is now just $2,500, while the 70-inch M-series is $1,500. Like I said, you'll have some hard choices to make when it comes to choosing one of these models. Do you aim for the higher quality P-series? Or go for a great deal with the M lineup? And at $2,500, how can you not get a great-looking 75-inch TV (especially when it's $1,000 less than last year)? One notable change this year for all of Vizio's sets? The TV tuner is back! The company removed that feature in 2016 as part of its push to modernize TV viewing. But just like with the bundled tablets it introduced that year, which it gave up on 2017, Vizio is course-correcting. You'll be able to tune into over-the-air channels with the new sets, just like with the competition. There's also a new streaming TV service coming to Vizio's SmartCast OS, which collects free videos available on the internet. The company doesn't have a name for that feature yet, but it'll be accessible with a grid channel lineup, and it'll also include any OTA channels within your reception range. As I mentioned last year, it's never been a better time to buy a 4K TV. And now Vizio's lineup is more tempting than ever before. The P-Series Quantum won't be available until summer, unfortunately, but you can snag the other models starting today on the company's website. They'll show up at retailers in the coming weeks.